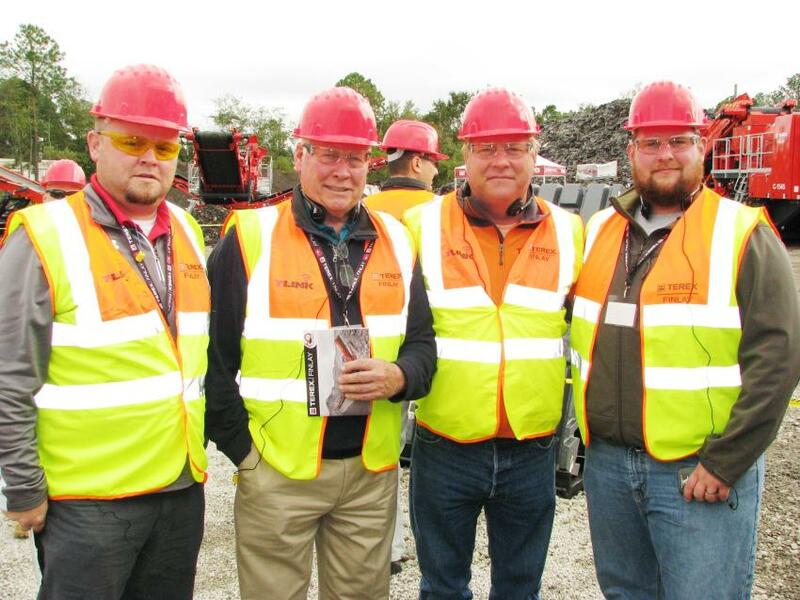 Terex Finlay rolled out its heavy equipment in Jacksonville, Fla., Nov. 14 to 16 for its three-day international dealer conference and demo event. The Northern Ireland-based manufacturer, which has facilities in Louisville, Ky., and India, welcomed distributors from as far away as Japan, South Africa and Australia, as well as healthy contingents from Europe and the Americas. 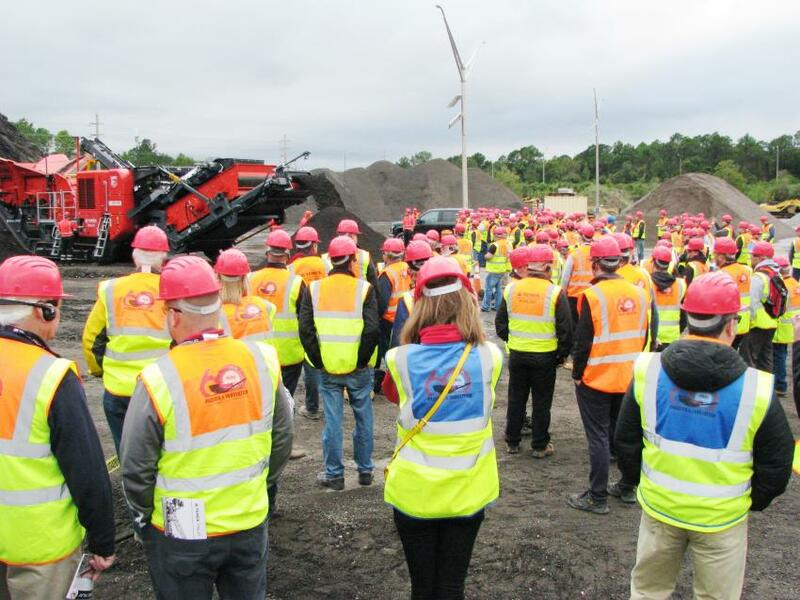 "We are celebrating our 60th anniversary, and on site today we have 11 machines, 10 of them working and one of them on display," said Alan Witherow, Terex Finlay's lead technical support product manager. "This is almost all of our most recent product developments that we launched in the last two to three years." 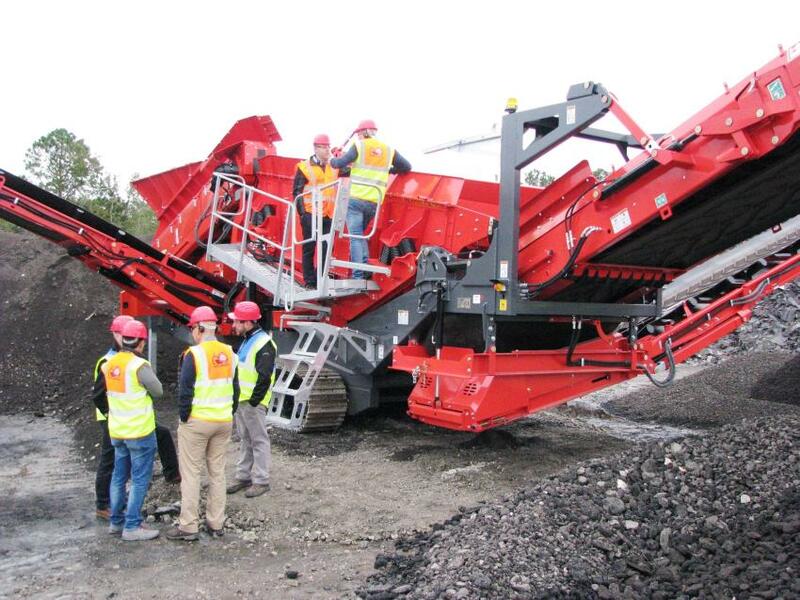 Among the major launches was the triple-shaft 883+ mobile scalping screener, which the company describes as "ideal for working in dry and sticky applications including quarry, mining, sand, gravel, construction and demolition debris and recycling applications." "As the Americans say, the triple-shaft variant is a brand-new model," Witherow said. "The triple shaft has an oval motion. The stroke is bigger, so you can take it up to actually 11/16ths of an inch, where you have a maximum half-inch stroke on the standard single-shaft 883, so it is very aggressive because of its capacity for a machine of its size. And, because of its aggressiveness, you can use it for more difficult, sticky applications where a signal shaft would struggle to do it." 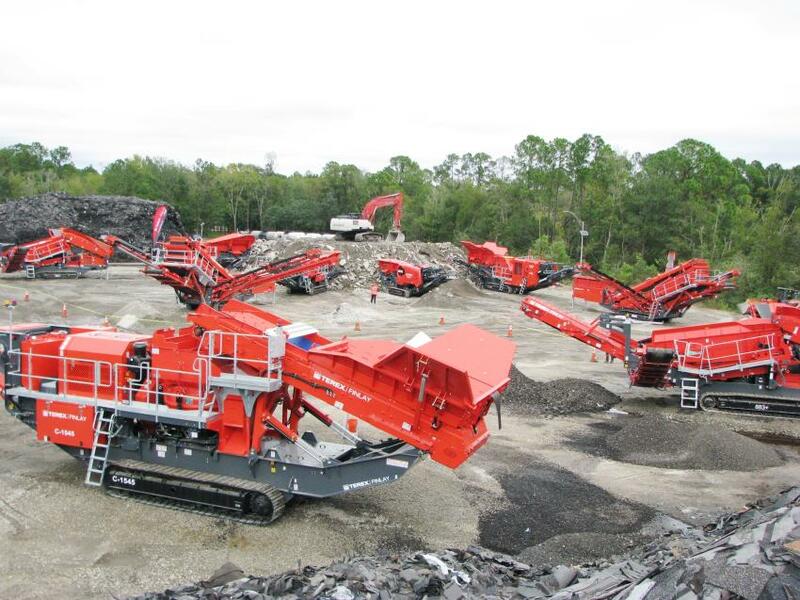 Other recent introductions to the North American market on display included Terex Finlay's J-960 compact jaw crusher, the 684 deck series screener and an assortment of mobile conveyors, which are wholly new additions to the manufacturer's lineup. "We never sold conveyors before, so it's the first time here," Witherow said. The conference began with a welcoming ceremony, followed by health and safety briefing before the demonstrations got under way. Guests were able to hear running commentary through headsets even as the machines kicked up noise and dust. The event also featured an awards dinner and workshops conducted by Terex Finlay engineers and sales representatives. For many guests from northern climes of Canada and the Upper Midwest — as well as Northern Ireland itself — the Jacksonville weather provided a welcome respite from the impending winter. "This is beautiful weather to them," Witherow said. "It's like a summer day for us." Heavy rainfall made things a bit messy at the demo site. 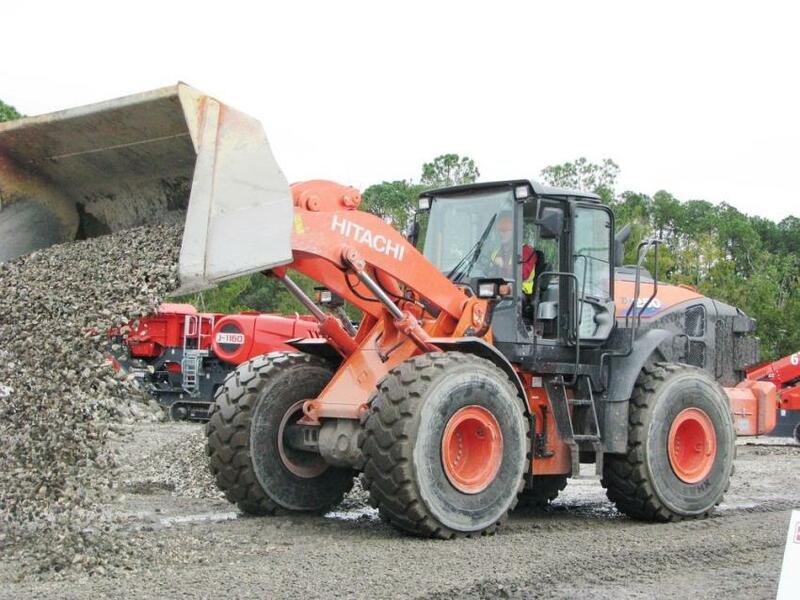 The Great Southern Equipment Company (GSE), the local Florida Hitachi dealer, was able to remedy the problem by supplying a Hitachi ZW250 to spread rock throughout the site. 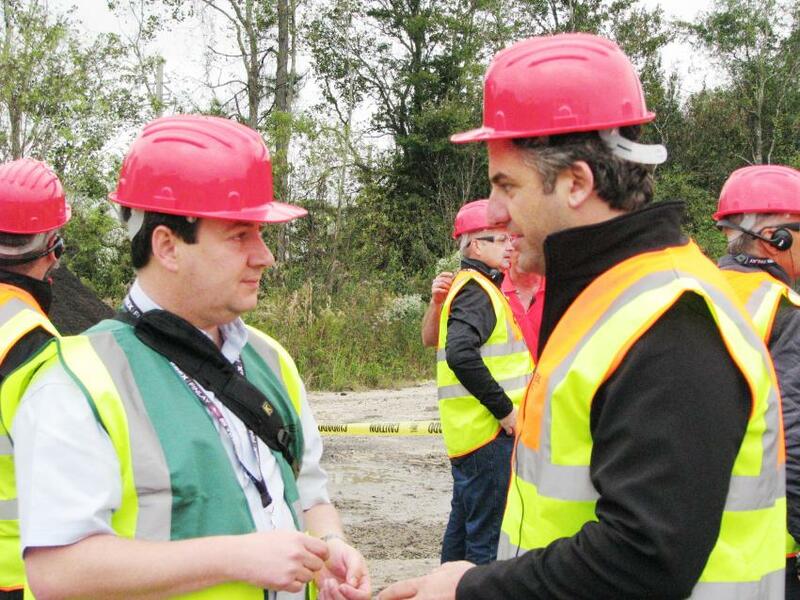 Terex Finlay Marketing Manager Brian Pauley (L), of Northern Ireland, and Sertac Varol of Temsa Is Makinalari, an equipment distributor based in Istanbul, Turkey, discuss some of the newer products introduced at the demonstration. 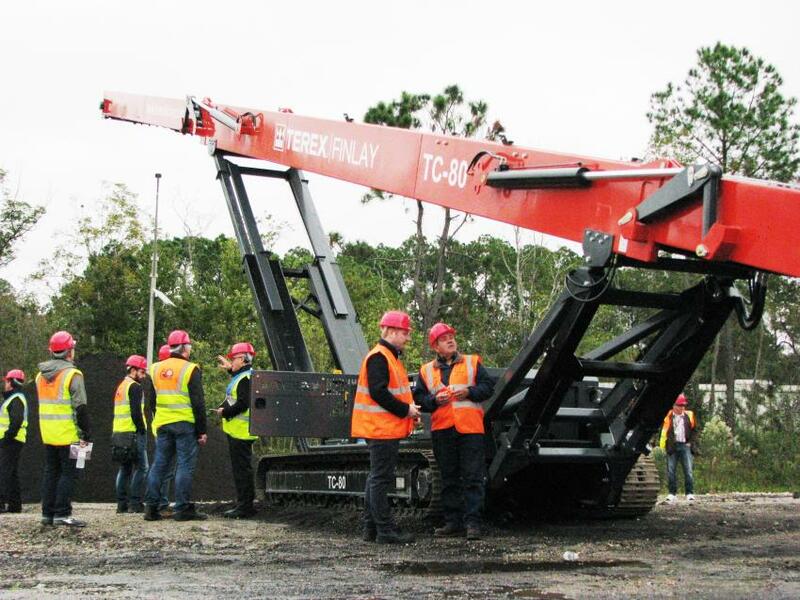 This machine is the first production model of the Terex Finlay 883+ scalping screen, which features Finlay’s first ever triple-shaft design for nearly blockage-free screening. 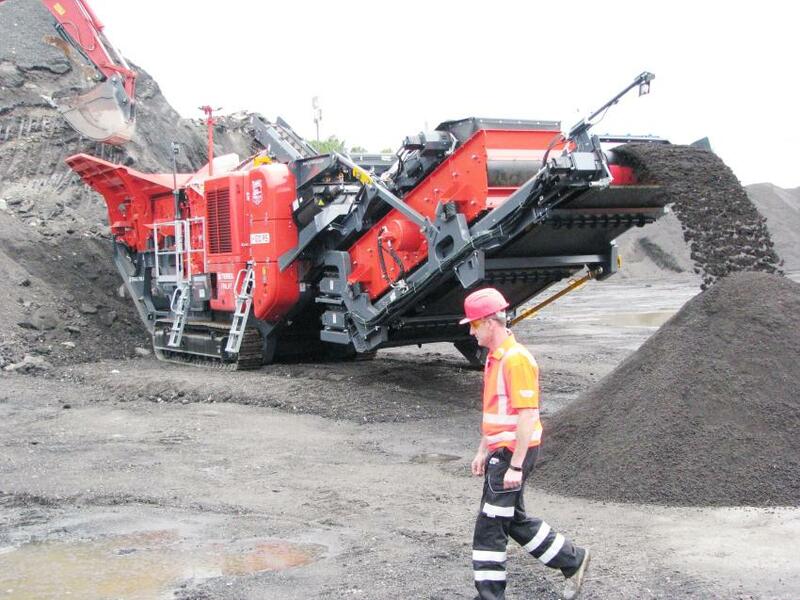 Another product that garnered quite a bit of attention was the new Terex Finlay mobile conveyor. This is a relatively new addition to the Finlay lineup with more sizes being launched soon. Distributors took advantage of the many photo and video opportunities at the demo site. The lineup and positioning of all the machines at the demo site was a virtual “field of dreams” for the Terex Finlay dealers in attendance. 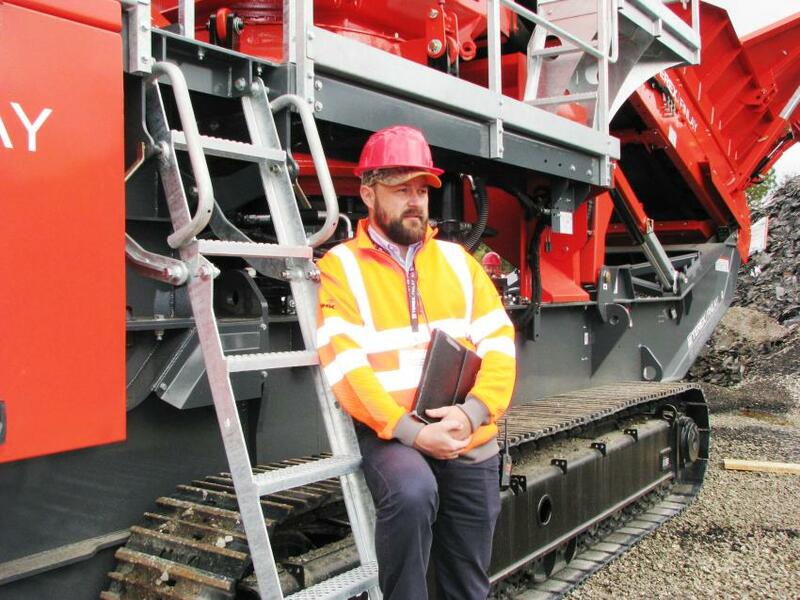 Looking over the site before making presentations of each of the machines being demonstrated is Alan Witherow, Terex Finlay’s lead technical support and product manager. 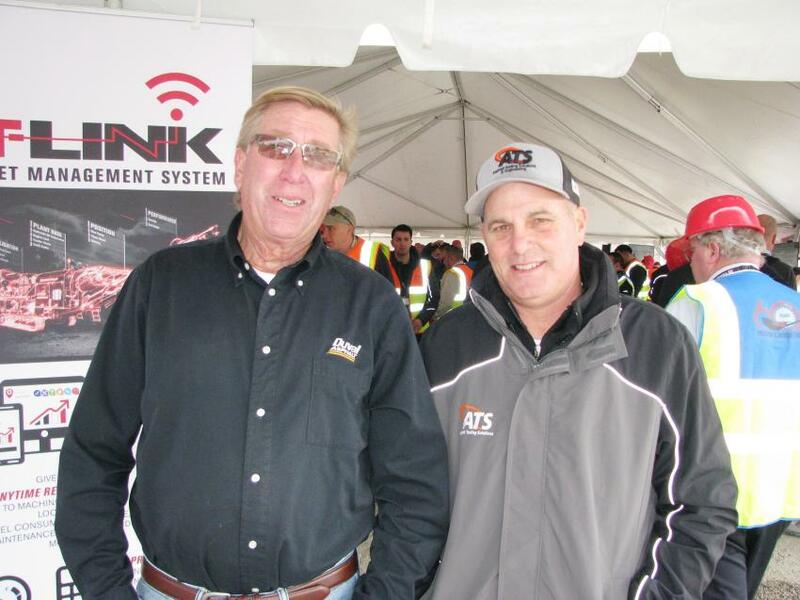 Hosts of the demo at Duval Asphalt in Jacksonville, Fla., were T.J. Young (L), Duval production manager, and Steve McReynolds of Duval’s Asphalt Testing Solutions & Engineering Division. Representatives of the U.S. based distributors in attendance at the global meetings (L-R) included Todd Bullock and Bob Wulfers of Continental Equipment Company, St. Louis, Mo. ; and Dwayne Streater and Brandon Streater of Oklahoma Allied Equipment, Seminole, Okla. 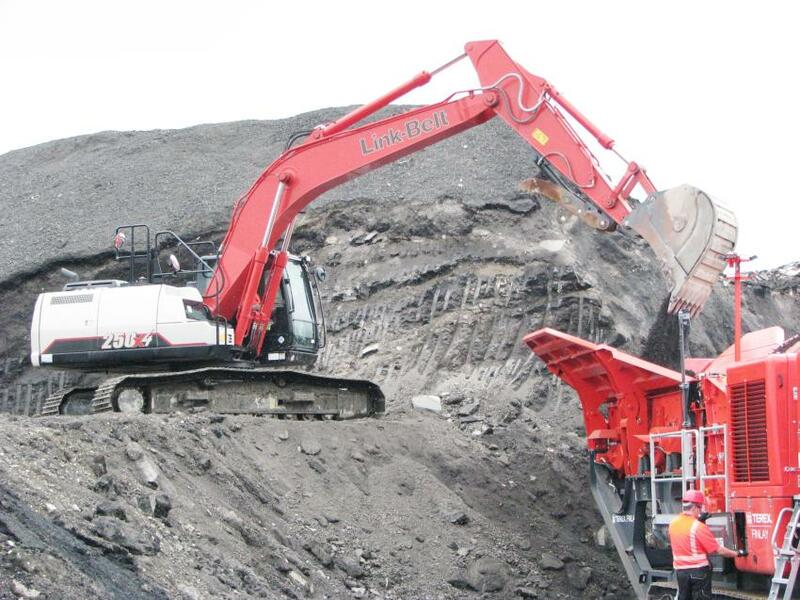 The Great Southern Equipment Company also provided a pair of Link-Belt excavators for the demo — a 250X4 and a 350X4 — to load the hoppers of the crushers. 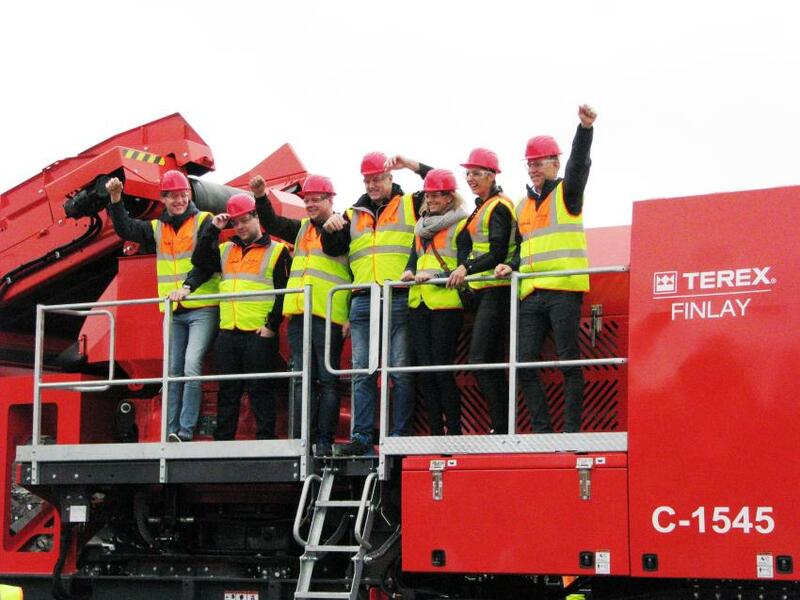 The demonstration of the I-120RS showed the improved material flow and production capabilities of this newest generation of Finlay impact crushers. More than 300, including Terex Finlay distributors and corporate representatives from around the globe, were in attendance at this event. 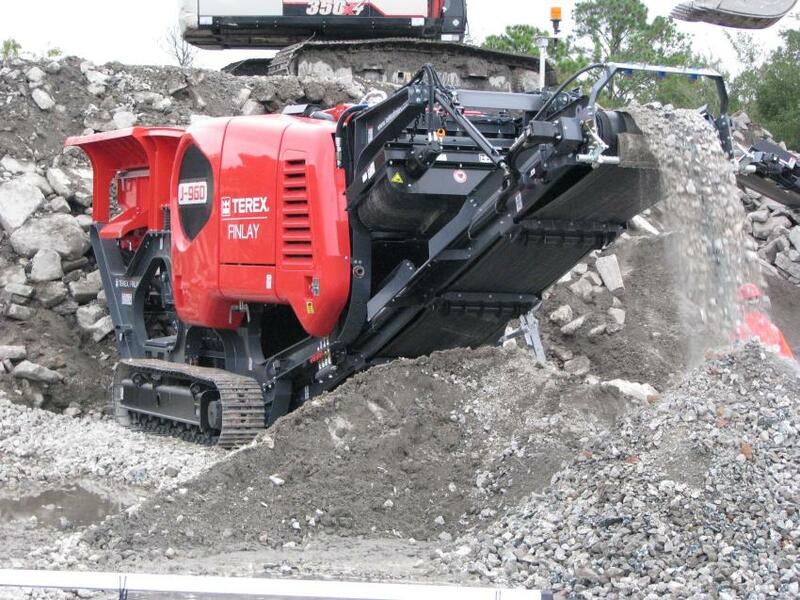 One of the newest products being demonstrated was the Terex Finlay J960, now the smallest in the lineup of J-Series jaw crushers.